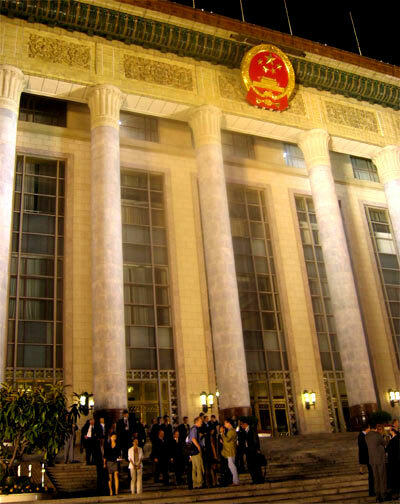 Opening ceremony at the Great Hall of the People. 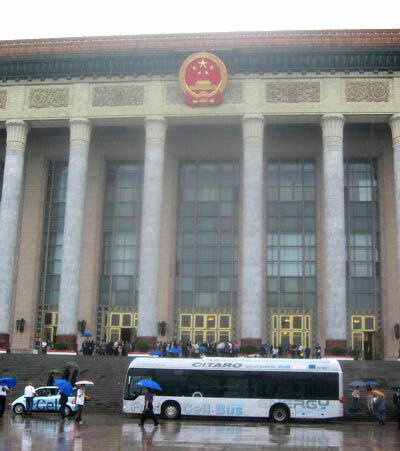 Some delegates even took the Mercedes-Benz Citaro Fuel Cell Bus, built by DaimlerChrysler AG powerded by three heavy-duty fuel cell engines from Ballard to the Great Hall of the People. 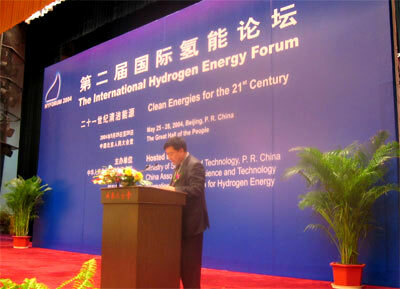 At the podium: SHI Dinghuan, Secretary General from Ministry of Science and Technology (MOST), Beijing, who is also involved in the Shanghai International Industry Fair. 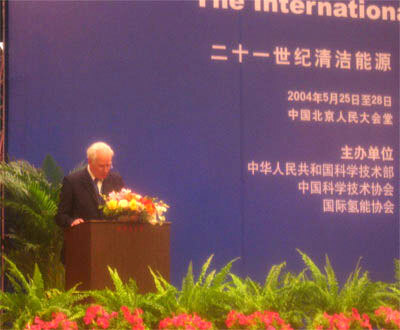 National leaders from China, Europe and 700 participants were listening to the opening ceremony. 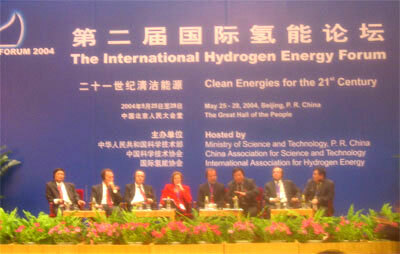 At the podium: Prof Carl Jochen Winter from Energon Carl-Jochen Winter GmbH, Germany. 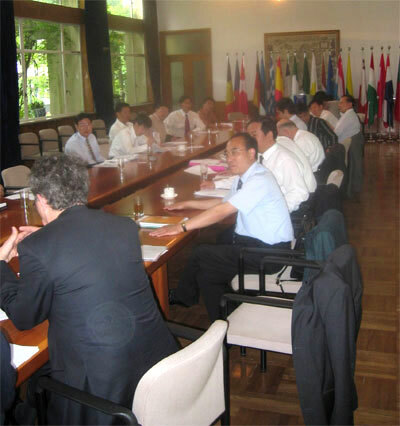 Paneldiscussion: Conditions for the Promotion of an International "Clean Energy-Cooperation" against the Background of the Growing Energy Requirements in Growing Markets". 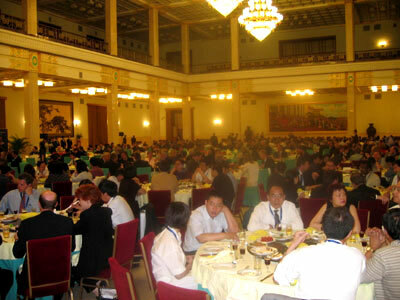 Something really special: Dinner Reception in the Great Hall of the People. 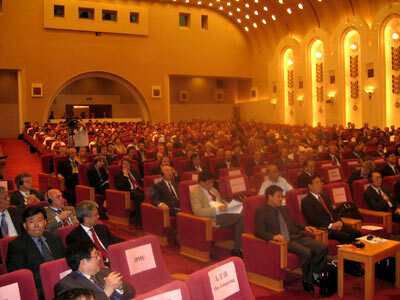 The end of an impressing and successful Opening Ceremony in the Great Hall of the People. 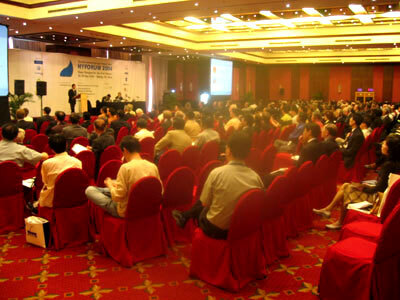 Plenary Session in the Kempinski Hotel, Jade Ballroom: Interested delegates listening to one of the presentations. 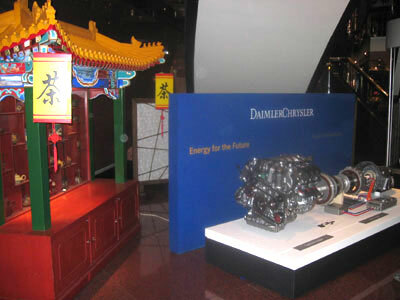 Exhibition area: DaimlerChrysler AG is showing their contribution to Energy of the Future. 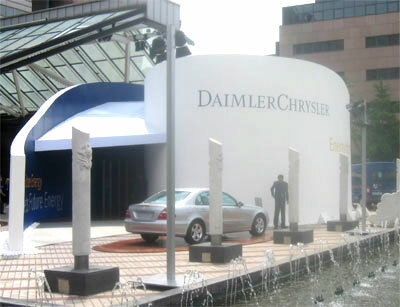 Outside Exhibition area: The booth of DaimlerChrysler AG.